Is the the bottom part on both sides textured? I just went and looked at mine - it *does* have a very fine texture to it, but with the paint it looks pretty smooth...but definitely a fine texture to it. 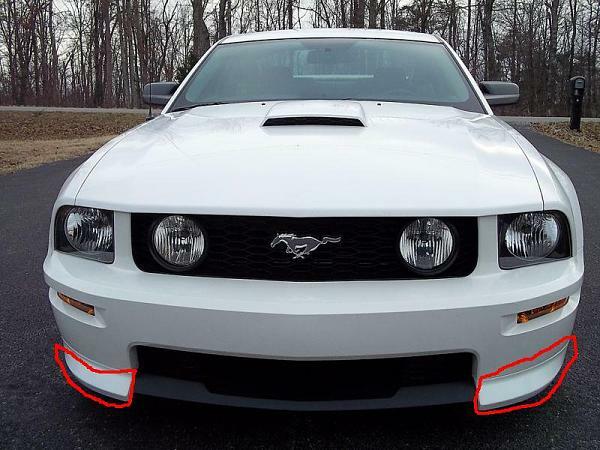 The same texture is also on the black center section, and I believe it's also on the lower part of the rear bumper on the CS, Shelby GT and GT500. Yes it has a texture to it and my Ford body shop told me they'd have to smooth it down, wouldn't warranty it b/c they said the paint wouldn't hold to it over time. This was after they called me and said the bottom part (those sections you circled) came unpainted on factory GT/CS cars. As Jay said its similar to the texture of the middle section. Cool you were able to find one since you were having trouble. Last edited by uofh2005; 4/21/11 at 08:44 PM. Mine is textured also. 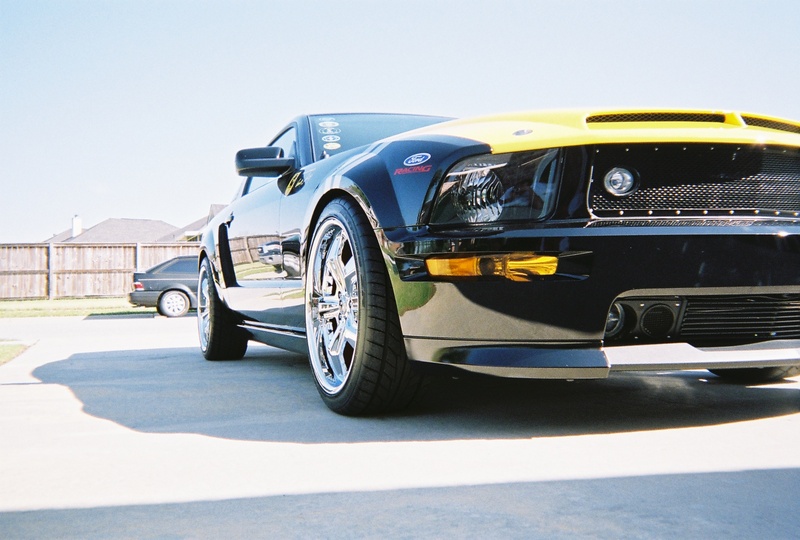 The rear lower portion is painted black on the GT500's. The front textured section is body color on my CS. I wasn't sure if they had changed it or not. 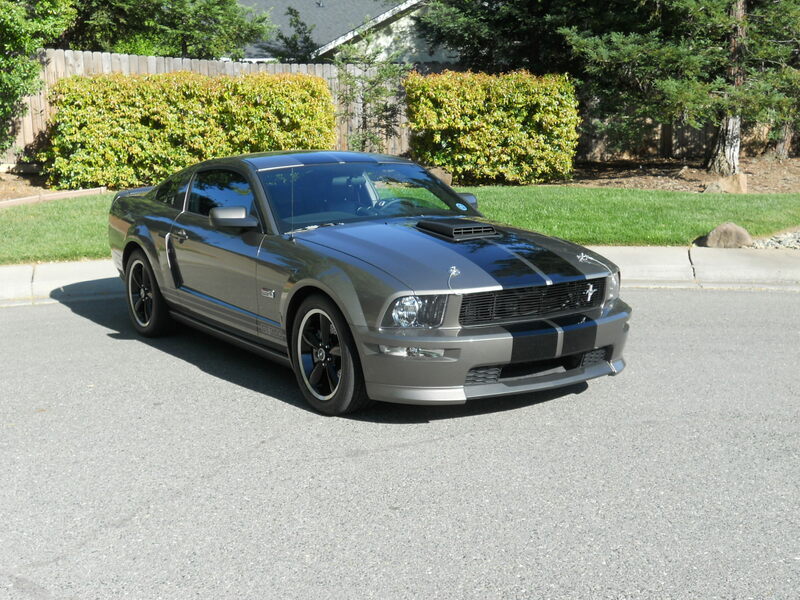 I should have mine back tomorrow from paint but still have to do acouple of other things before I will post any pictures. 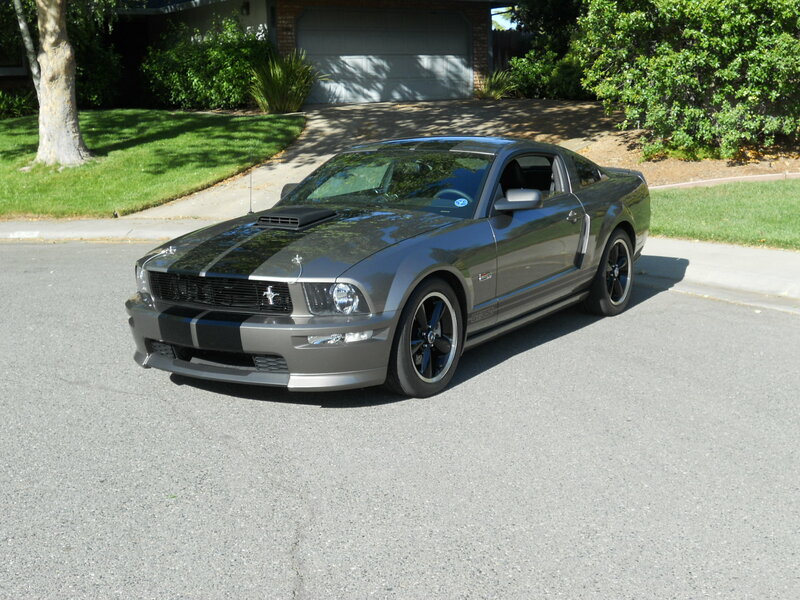 I have been wanting the GT/CS fascia for a long time. Good choice Rich! IMHO it is still the best looking nose they put on the original S-197's. 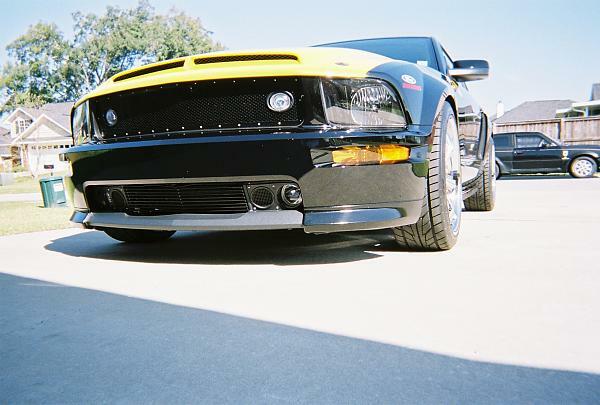 Remembering how this great nose design started with that very lovely black and gold Hertz GT rental. Nice! "RC"
Mine has a bit of an unfortunate texture to it from dips and steep driveways. I have a little of that, as well as some colored stripes from autocross cones. Done! 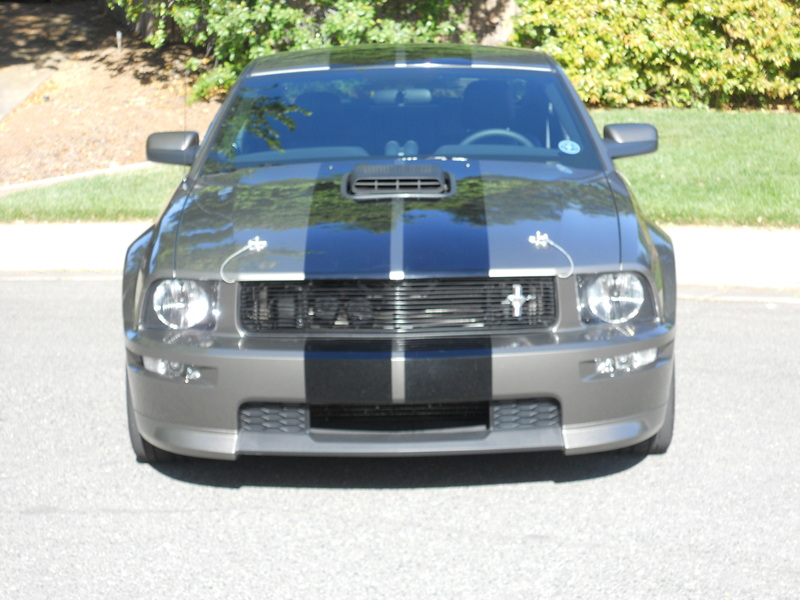 I have a black Shelby grille ordered too. 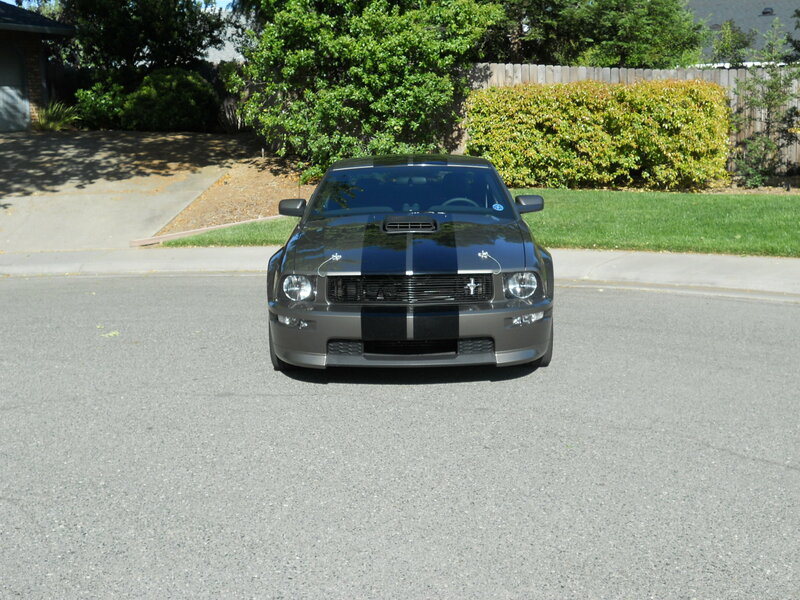 Very easy to change these grilles. There are lots of reflection in the pictures but you can get the idea. Last edited by GRAYPNY; 4/23/11 at 06:17 PM. 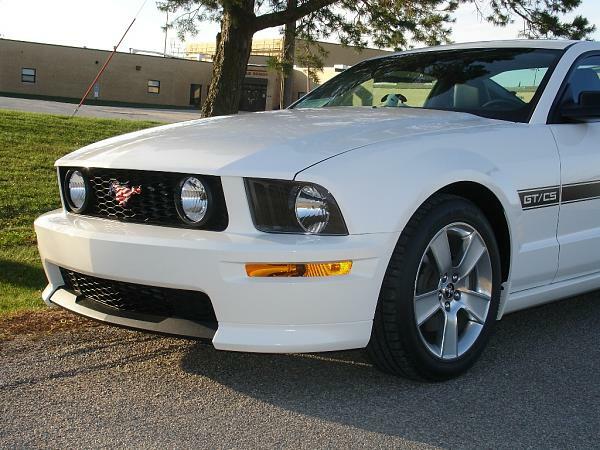 That black grille should really look good! I am hoping to order one here very soon! 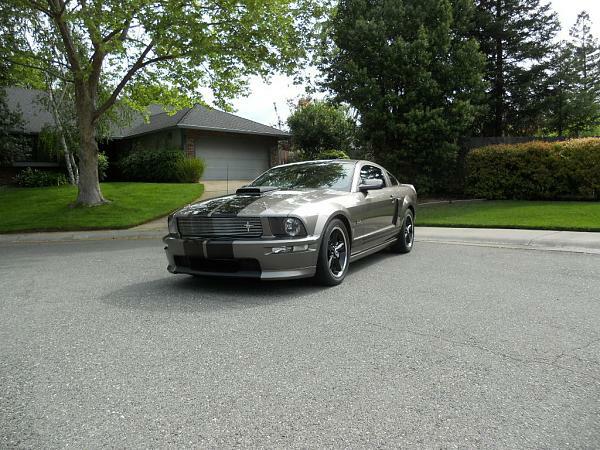 Wow that made an already awesome car just that much better...that front end looks killer on a mineral gray Mustang. Sharp!! Good choice Rich as that new fascia looks great!! OK I got the black grille in tonight so of course I had to put it on. Pretty sunny so the pictures seem alittle washed out. I think I prefer the black and thanks for the compliments folks. That is one gorgeous MG Rich! 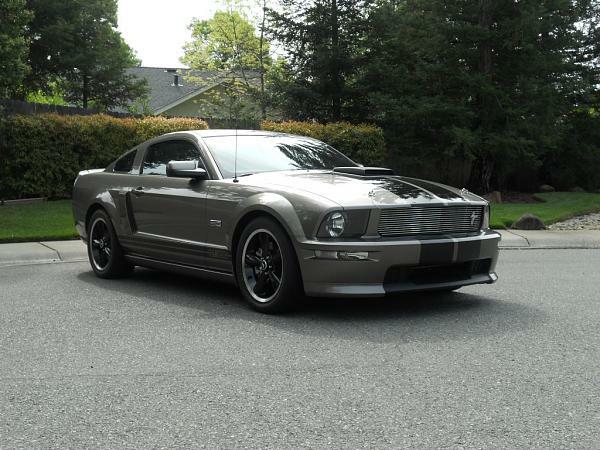 I'm torn between the GT/CS facia or the GT facia with a chin spoiler. Man oh man that facia looks good though. Just curious where you got your fascia from? I saw in a diff't thread you got it for 389, did you go with Late Model Resto, or CJPony Parts or somewhere else? I'm gonna do the CS bumper swaps soon, and I'm just curious if you had a good experience, all parts included, yada yada. I'm just nervous I'll get an f*&^'d up or warped piece. Been kicking myself since about 2 days after delivery that I didn't get a GT/CS when I ordered my car! Nvm, sorry, didn't see your post in the exterior mods section. Answered my own question. Hope I can find one of these bad boys before long too!